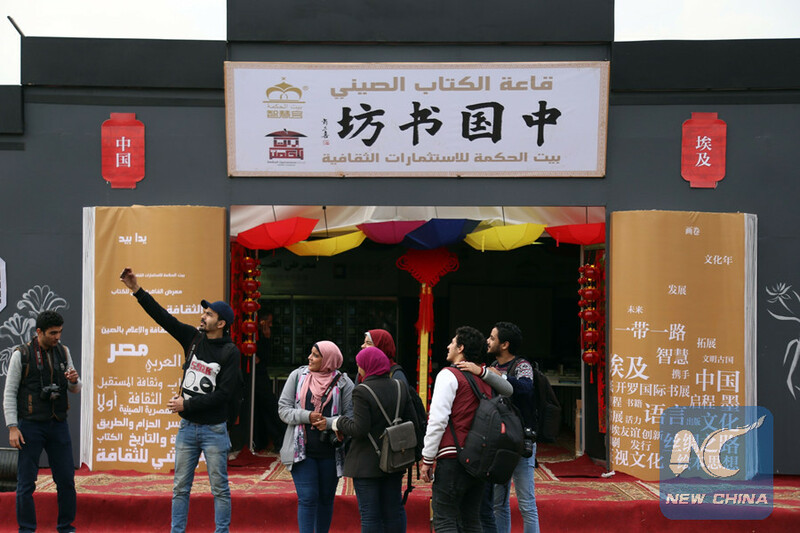 CAIRO, Jan. 26 (Xinhua) -- Egyptian Prime Minister Sherif Ismail inaugurated on Thursday the 48th round of the annual Cairo International Book Fair (CIBF) amid an economic crisis that decreased the number of Egyptian publishers. Held under the slogan of "Youth and Future Culture," the region's largest and oldest book fair, which runs through Feb. 10 this year, includes 35 countries, 16 from the Arab world, six from Africa and 13 from other parts of the world, a total of 670 publishing houses. Only 451 Egyptian publishing houses are participating in the CIBF this year compared with 550 last year. The decrease in number is due to the recent local currency floatation which increased the prices of paper and ink, as well as book prices which rose by about 150 percent. Morocco has been chosen as the guest of honor of this round, while China is participating with an unprecedented presence with an extensive booth, thousands of books, dozens of activities and several writers, poets and artists. Since its establishment in 1969, the CIBF is considered the largest and oldest in the Middle East and the second largest worldwide after Germany's Frankfurt Book Fair. The inauguration ceremony was attended by Egyptian Culture Minister Helmy al-Namnam, and his Moroccan counterpart, Mohammed Amine Sbihi.